Our mini-flat , join the classic of the country house with all modern comfort. 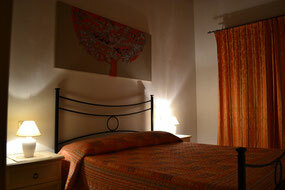 Are furnished with 2 double bedroom, kitchen, directly overlook on the garden. 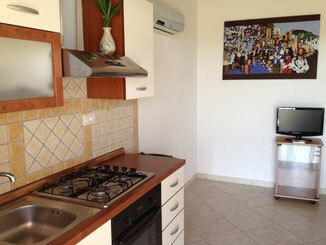 Furnished with refrigerator, television and cooling system. Are Reached from the wi-fi internet , are spacious, bright and comfortable.You will live your holiday as in your home. RESTAURANT, SWIMMING POOL, GARDEN , ANIMALS ALLOWED, NOT-SMOKING ROOM, SMOKING ROOM, REDUCED MOBILITY GUEST FRIENDLY, FREE PARK, FREE INTERNET, KITCHEN AND REFRIGERATOR IN THE ROOM, TV, MEETING ROOM, CONGRESS ROOM . NUMBERS OF ROOM: 5 PRICE : 30 - 70 EURO.